Welcome tou our Best and Most Affordable Toy Grade Camera Drones. There is no denying it, one of the most sought features on drones is the camera. People are right, indeed technology has brought us one of a kind prospects. The possibility to control an Unmanned Aerial Vehicle from the ground and reach places you never thought you were able to reach before, while recording video or taking photographs: a unique experience! A few years ago this experience was not available for all pockets. All the commercial drones released in the market were either too expensive or didn’t have a camera. Nowadays, this has changed. You want to own a camera drone with good image quality? Go ahead! It’s as cheap as buying a computer game, or even cheaper. The quickly growing drone industry has already stunned the market with amazing quality products at very low prices. As always, we at DronesWorld aim to provide you the most accurate and updated information drone related. Guiding our readers through their questions and doubts. In the end, our goal, is to make sure you have made a valuable and confident choice. Today, we take a look at some of the best and most affordable oy grade camera drones. All the quadcopters on this list assure above average image quality considering other products within the same price range. JJRC has been releasing amazing and affordable toy grade camera drones. On the H26D model they have decided to push the average image quality of the toy grade drone to an all other level. JJRC incorporated a 3MP camera with a genuine glass wide lens (120 degrees of Field of view (FOV)). If you want great quality at a fairly low price, than H26D might just be the one for you. On top of all that, it comes with its own 2 Axis Gimbal. While the Gimbal does not contribute to the stabilization of the camera, it instead allows the pilot to tilt the camera in four directions with one button press through the transmitter. H26D features Headless Mode for easier orientation. One-Key Return feature, the drone comes back to where previously began flight. And, are you ready? An amazing control range of 300 meters! Once again well above average toy grade quadcopter range. Its flight time however is just the average 6 to 7 minutes. 509G is an outstanding affordable toy grade camera drones. First of all it includes its own 2 megapixels camera with 1280 x 720p resolution, very good image quality. Secondly, it has FPV (first person view), meaning you can watch live video directly transmitted to your FPV monitor (built-in on your transmitter). The camera can be tilted 20º degrees, allowing different recording points. FPV video may however have a slight ‘jello’ effect occasionally but nothing which will disturb your flight. JXD 509G also features Headless Mode (easier control orientation), One-Key Home Return (return to point of take-off), Automatic Landing (name is self-explanatory) and, Altitude Holder! Yes! 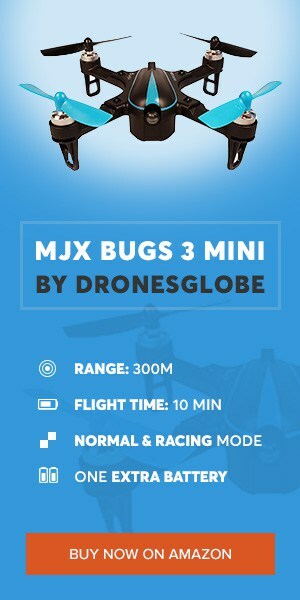 JXD 509G is one of the first toy grade drones to feature Altitude Holder. With Altitude Holder (otherwise called Altitude Positioning) the drone hovers steadily in air by itself, allowing you to focus on recording video and taking photographs. A great amazing feature, especially for you looking for an affordable camera drone! 509G has an average control distance of 150 meters, but an above average flight time of 9 to 10 minutes! A large and affordable toy grade camera drone with an amazingly unique design. Not the average looking drone, this sky monster definitely sparks the ‘cool factor’ among enthusiasts. One of JJRC’s best looking products in my opinion. It has a great performance, having no trouble fighting the wind while hovering stable in air. It comes in three different package versions: one with no camera, another with a 2MP camera and other with a 5MP. In this list we are referring to the 5MP camera version. From Tarantula X6 camera, you can expect good quality footage and photos. It is no GoPro but it also is well above the average camera quality among same price and even higher priced drones. It is not common to see a toy grade drone featuring a 5MP camera. Tarantula X6 as an outstanding control distance of 300 meters! If you are afraid to lose it, worry no longer, Tarantula has One Key Return feature, thanks to its IOC (Intelligent Orientation Control) which works like an inner compass. Has a flight time of 7 to 10 minutes depending on how much height you are carrying. Remember you can always detach the camera to increase its flight time, camera is not built-in. Do you remember X4 H017C? One of Hubsan’s best sellers? Well, they have updated this product, released back in 2013. Hubsan X4 H017P (also known as X4 H104C+). This mini quadcopter has a built-in 2MP 720p video camera. Able to produces very good quality video, with no ‘jello’ effect. H107C+ is a stable flier, even to the most of beginners. It includes features such as Headless Mode (for easier orientation) and Altitude Holder! Meaning that pilot can adjust throttle to desired height that he wishes to fly on, and let go of the throttle. The quadcopter will maintain that altitude by itself. This is a useful feature for filming as it allows pilot to focus on the video. However, it does have a somewhat below average control distance ranging between 50 to 100 meters. Flight time is 7 minutes and the battery can be quickly recharged within just 40 minutes. Affordable toy grade camera drones currently in the market. They top among the best low-budget drones. Good set of features, nice competitive specifications, good quality cameras already included in the package. Ready-to-fly out of the box, what more can we ask for? What about you? Which one best fits your needs? Tell us in the comment section below. Enjoy your flight footage!